what is this and who do it? and it really works? Yes it works, I just replaced map20fix with this one. You just have to give it higher priority, and it will work. This fix has still to be fixed…sector conflict with RusMap 1.6. In this state not very helpful and breaks road connections. You`re right, guys.It did mess up roads around Moscow, I just saw that too.But nothing to worry about, just use old map fix. I`ve been using it for weeks without any problems. Good luck…with RusMap 1.6 it won´t work, the roads on sector 15 – 26 will be messed up anyways. Not very nice offering this crap without a note about the issue. It has to be reworked with the map editor. 00:02:05.475 : Ignoring obsolete attribute ‘ai_distance_player_cast’ of unit ‘.traffic.data’ (of type ‘traffic_data’). 00:02:05.479 : Map ‘/map/europe.mbd’ loading started …. 00:02:26.152 : Map successfully loaded. 00:02:26.859 : Ignoring obsolete attribute ‘motor_brake’ of unit ‘d16g540.vnl660.engine’ (of type ‘accessory_engine_data’). 00:02:26.859 : Ignoring obsolete attribute ‘motor_brake’ of unit ‘d16g600.vnl660.engine’ (of type ‘accessory_engine_data’). 00:02:42.934 : [unit] The unit name ‘cursor14_1000hp.iveco.s.engine’ is in wrong format. 00:02:43.422 : Road network navigation caching started. 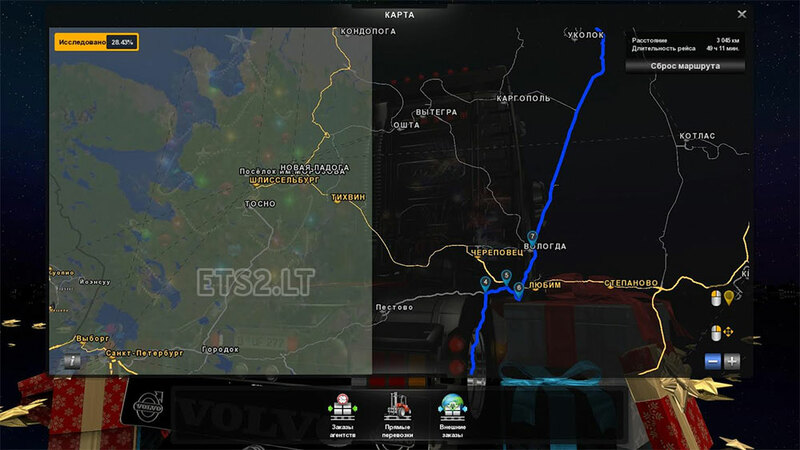 00:02:44.321 : Unable to find route from: company.volatile.eurogoodies.pestovo to trameri(porvoo)! 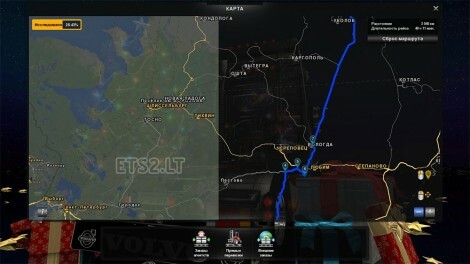 00:02:44.321 : Unable to find route from: company.volatile.eurogoodies.pestovo to macdonalds(vantaa)! 00:02:44.321 : Unable to find route from: company.volatile.eurogoodies.pestovo to sellplan(newcastle)! 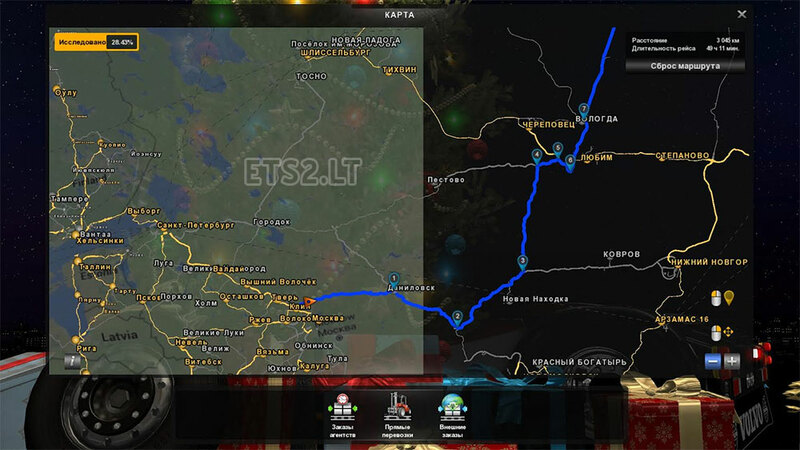 00:02:44.321 : Unable to find route from: company.volatile.eurogoodies.pestovo to posped(holmogorj)! 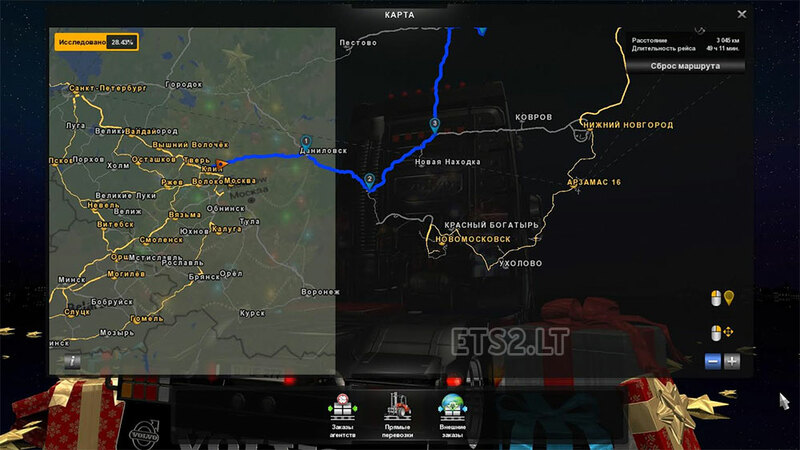 00:02:44.321 : Unable to find route from: company.volatile.eurogoodies.pestovo to sanbuilders(siktivkar)! 00:02:44.321 : More failures to find a route. 00:05:13.369 : Road network navigation caching finished. 00:05:13.476 : Garage update started. 00:05:25.145 : Garage update finished. 00:08:37.095 : model_template.cpp(572): [email protected][email protected]@@UEAAXXZ: Mismatch between number of parts in geometry (.pmg) and description (.pmd) files for ‘/prefab/fork/city_x_2lane_highway.pmg’. How did you get so many errors? 00:01:17.625 : /def/climate/arctic/nice.sii read failed! 00:01:17.625 : /def/climate/icelandic/nice.sii read failed! 00:01:17.626 : /def/climate/subarctic/nice.sii read failed! 00:01:17.629 : /def/climate/coastal/nice.sii read failed! 00:01:17.630 : /def/climate/continental/nice.sii read failed! 00:01:17.630 : /def/climate/alpine/nice.sii read failed! 00:01:17.630 : /def/climate/mediter/nice.sii read failed! 00:01:17.630 : /def/climate/subtropical/nice.sii read failed! 00:01:17.630 : /def/climate/desert/nice.sii read failed! 00:01:17.965 : Loading resource server data …. 00:01:17.965 : Loading vegetation data …. 00:01:17.998 : Loading road data …. 00:01:18.011 : Loading terrain data …. 00:01:18.020 : Loading railing data …. 00:01:18.024 : Loading building data …. 00:01:18.046 : Loading model data …. 00:01:18.294 : Loading prefab data …. 00:01:18.437 : Loading traffic rule data …. 00:01:18.439 : Loading sign data …. 00:01:18.649 : Loading city data …. 00:01:18.699 : Loading traffic semaphore data …. 00:01:18.703 : Loading traffic signs data …. 00:01:18.717 : Loading hinges data …. 00:01:18.733 : Loading stamp data …. 00:01:18.750 : Loading movers data …. 00:01:18.767 : Loading ferry data …. 00:01:18.787 : Loading country data …. 00:01:19.900 : Loading sound item data …. 00:01:19.901 : Loading live stream data …. 00:01:19.902 : Loading game condition data …. 00:01:19.904 : Loading trigger action data …. 00:01:19.921 : Loading cutscene data …. 00:01:19.953 : Loading cargo data …. 00:01:20.141 : Loading company data …. 00:01:23.041 : Map ‘/map/europe.mbd’ loading started …. 00:01:29.168 : Map successfully loaded. 00:01:34.298 : Road network navigation caching started. 00:01:34.827 : Unable to find route from: company.volatile.m_bazaazs.tixwin to m_musor1(berlin)! 00:01:34.828 : Unable to find route from: company.volatile.m_ovochi.cherepovec to m_musor1(berlin)! 00:01:34.828 : Unable to find route from: company.volatile.fcp.cherepovec to m_musor1(berlin)! 00:01:34.877 : Unable to find route from: company.volatile.quarry.tixwin to m_musor1(berlin)! 00:01:34.906 : Unable to find route from: company.volatile.m_terminal.cherepovec to m_musor1(berlin)! 00:01:34.947 : More failures to find a route. 00:02:11.241 : Road network navigation caching finished. 00:02:11.281 : Garage update started. 00:02:13.521 : Garage update finished. 00:03:22.985 : Game has been auto-saved. I tried both fixes and the roads around Moscow are broken. I didn`t see it in game because of invisible barriers mod. I just followed the GPS instructions. However, if you`re going from Moscow to Voronezh and further away GPS will find you the way around.Or you can reset the navigation, and set your route manually.